This is the top selling set of Autism and ABA Flash Cards. 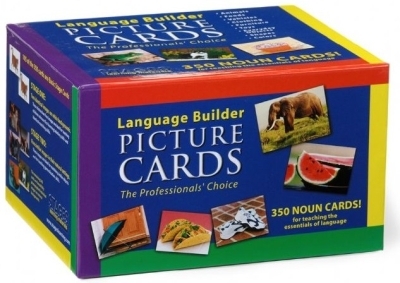 The Language Builder Picture Noun Card set is a tremendous tool for teaching key language concepts to preschool age children; children and adults with autism, developmental delay, or speech/language delay; or to anyone first learning or re-learning basic language skills. 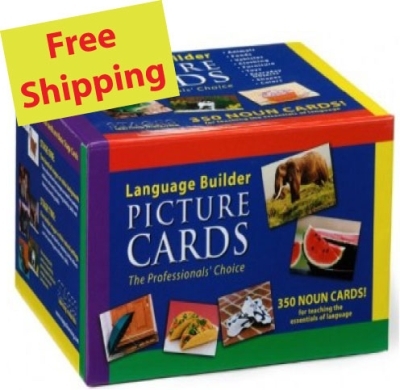 This 350 card set includes stunning, child-pleasing, bright, photographic images from nine basic categories (animals, foods, vehicles, furniture, clothing, toys, everyday objects, shapes, and colors).